OREO!! Happy Birthday to YOU! 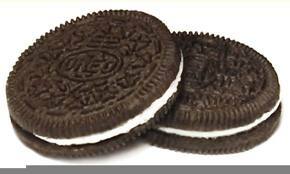 Today is the 100th anniversary of Oreo cookies! What a wonderful invention. I’ve had a love/love relationship with the chocolate wafers for my whole lifetime. I can’t imagine a world without these little yummies, can you? I’m not a fan of frosting but the cream inside an oreo is heavenly. If I could only have the wafer or the cream for the rest of my life, I’d pick the wafer for sure. YUM! Gotta go. Time to get a refill and pass the milk while you’re at it.